(Bloomberg) -- The world’s largest copper producer has sufficient funding this year and next to develop the multibillion mine upgrades essential to maintain its production at current levels, according to Chairman Juan Benavides. 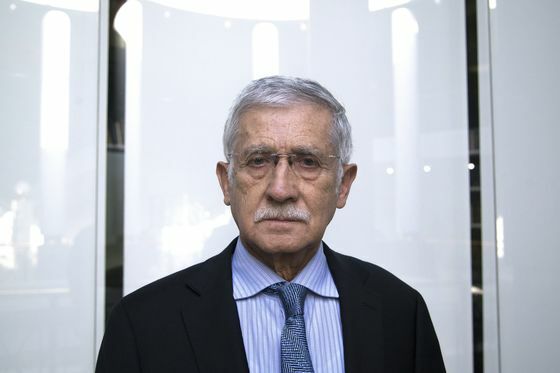 State-owned Codelco is well financed and doesn’t need government funding or to issue more debt this year, Benavides said in an interview in Santiago on the sidelines of Cesco Week metal conference. Conversations with government over an additional funding package for 2021 and beyond will need to happen next year, as well as the possibility to increase debt levels, he said. The company responsible for over 8 percent of world copper production has warned it will see a slump in output if it doesn’t invest more than $20 billion in the next decade. Ore grades at Codelco’s mines -- some over a century old -- are declining, and it needs to process more material to produce the same amount of copper. The expansion effort coincides with tight supplies of the metal, with some analysts forecasting a deficit by year-end. Codelco expects production will remain flat at around 1.8 million tons of copper this year. The $5.5 billion Chuquicamata underground project is almost completed and will enter into production within one to two months, Benavides said. That will help offset the decline in output expected to happen at the Chuquicamata open pit mine, which is entering the last stages of its life. In the company’s pipeline of so-called structural projects are also a $1.3 billion expansion at the Andina mine, a $5.5 billion expansion at Teniente, a $1 billion expansion at Salvador and the expansion of Radomiro Tomic, which doesn’t have an estimated capital expenditure yet. "There is complete confidence in the fact that the company has a tight process going ahead, but things are well aligned," Benavides said. "And we have the complete support of the government." Codelco hands all of its profit to the Chilean state, which then decides how much it will reinvest. The company last received a $400 million package from the Chilean government in February, the final payment of a $4 billion package approved under the previous administration. President Sebastian Pinera’s government has not announced new capitalization for the company, with Finance Minister Felipe Larrain saying last month that new funding is not on the table for now. 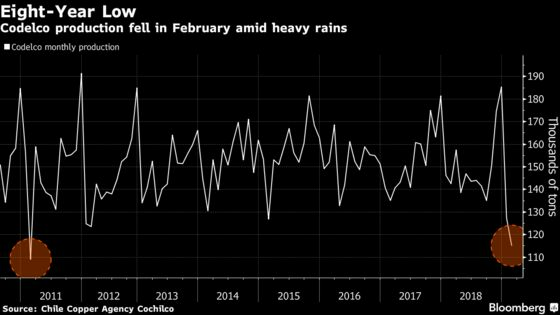 Last month, Codelco Chief Executive Officer Nelson Pizarro said a lack of government funding will affect the company’s expansion plans for its main mines in Chile, and might result on debt soaring to $21 billion. If market conditions improve, Codelco might need less government funds, Benavides said Thursday. He refused to say what would be the impact of a lack of funding from the government.